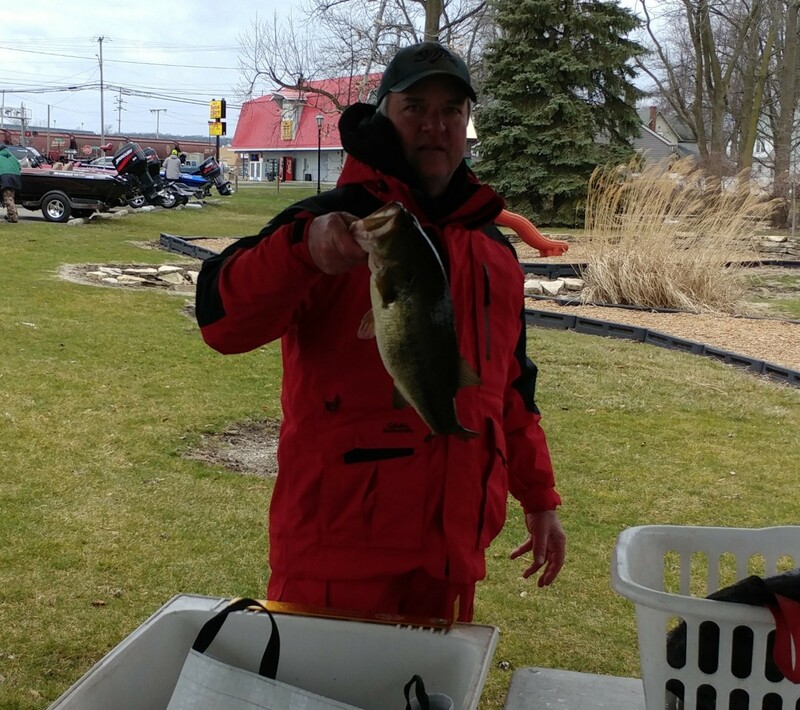 1st Place: Not since August 2011 on Webster Lake has an R & B tournament been won without a limit of fish. Enter Jeremy Chase and Kevin Kronewitter. The common denominator with those performances is both included a 6 pound monster. The 6.62 pound largemouth is one of the largest to ever be weighed in our 9 year span. ​​​​Their 10.95 pound bag was not easy. Three different baits were used to nab them. 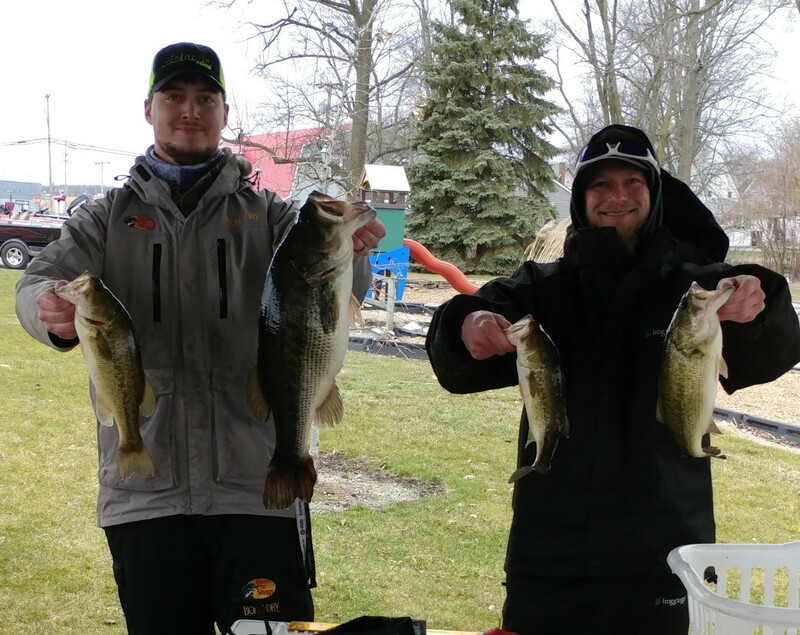 2nd Place: Jason Hall and Joe Hammond sorted through 8 keepers and weighed a 9.85 pound limit to win $250. 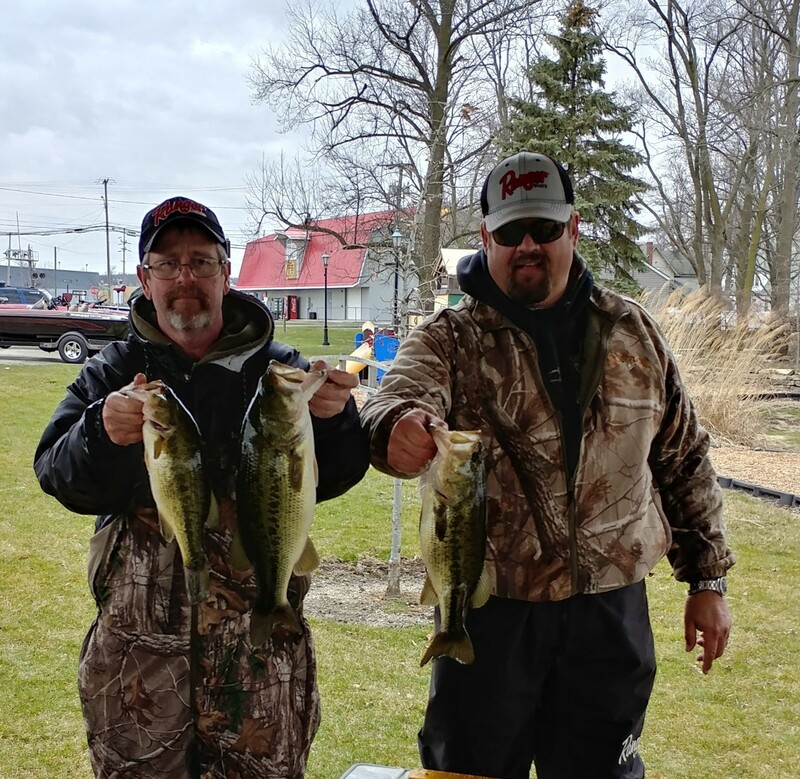 Their fish came between 12-14 feet of water and were caught with jigs and crankbaits. 3rd Place: No one is surprised when icons Greg Mangus and Kevin Fletcher land in the top 5. They lost track of tournament victories many years ago. In this very same tournament a year ago, in nearly identical weather, they finished runner-up. Their 8.45 pound limit was caught with a combination of 3/8 ounce jigs, darter baits, and spider grubs. They focused between 6-10 feet of water, and worked their baits with "short hops." Big Bass Award: Jeremy Chase (left), with the aforementioned 6.62 pound giant, won $200. 4th Place: Reigning West Division Champions Mark Farver and Steve Kline won this event a year ago. This year they claim another Top 5 finish with an 8.22 pound bag of fish. 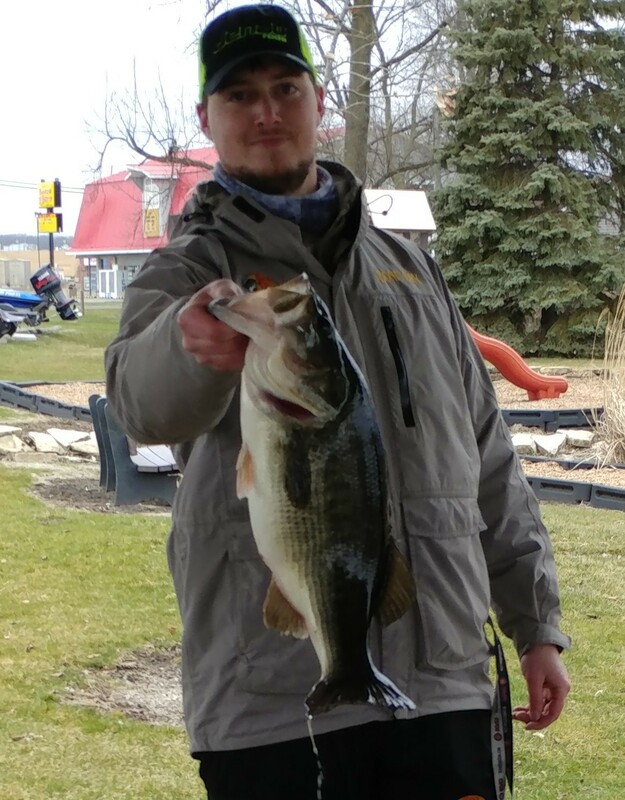 Surprisingly, it was with just 3 fish that were tricked by jigs and crankbaits. They won $100. 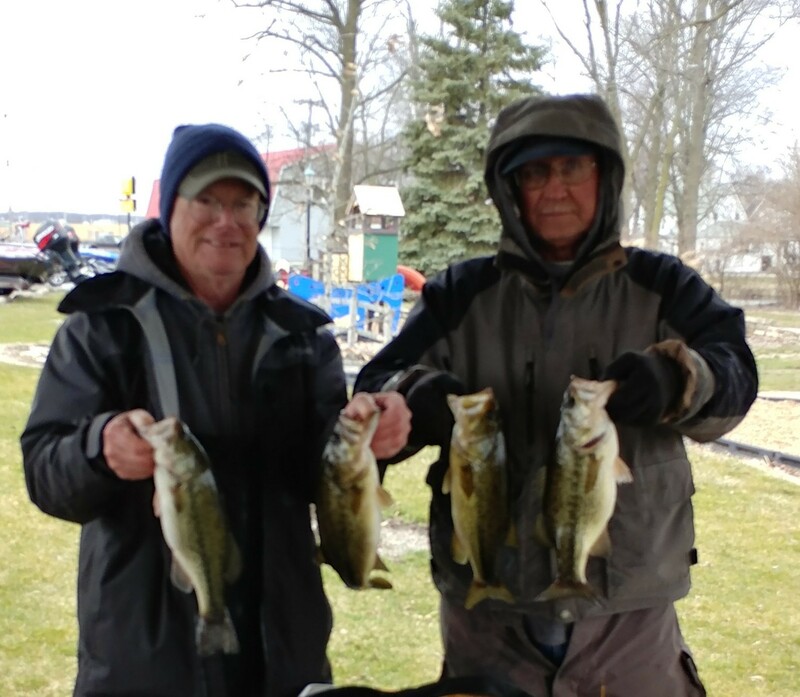 Two fish, including the big fish, came from a channel, while the other two were caught on a windblown main lake point. 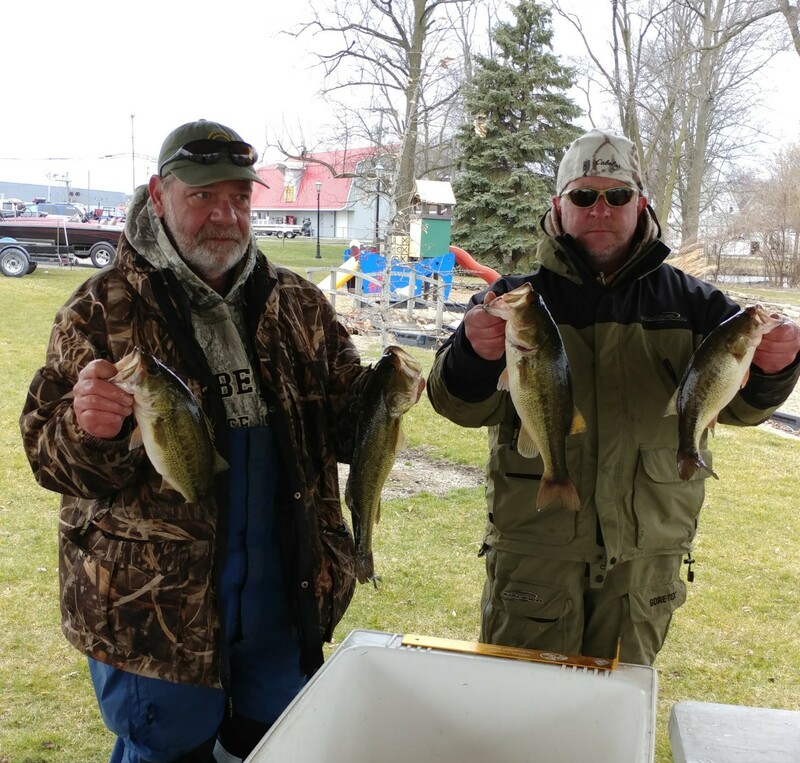 The win scored them $450, and the big fish garnered another $200. 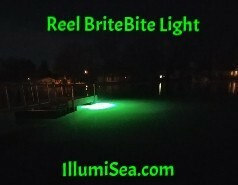 Thank you, IllumiSea, for the Reel BriteBite Light. 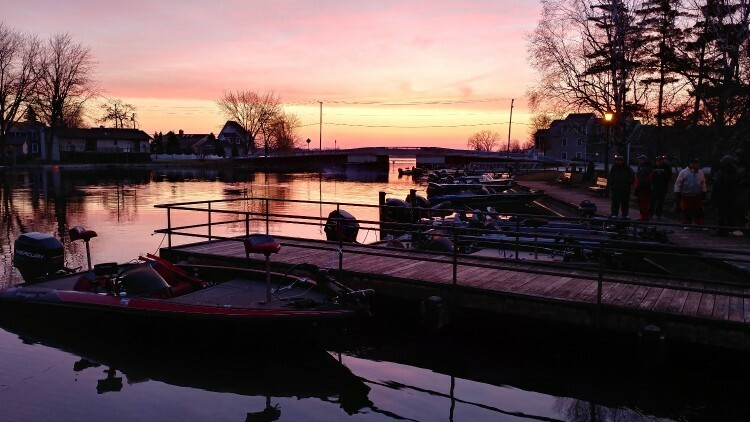 It looked awesome at the Syracuse Lake boat ramp and made launching easier and safer.